The TRANSIENCE weave the Fabulous and the Magickal. That which lies Betwixt and Between. They create doorways into worlds which may or may not exist. 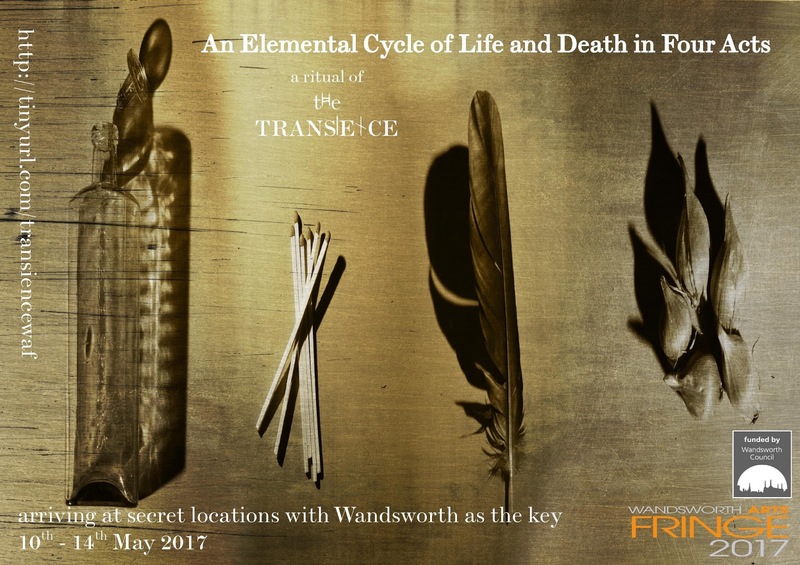 An Elemental Cycle of Life and Death in Four Acts is an intense and intimate experience of art, theatre and shamanic story weaving. Each moment is site specific and can stand alone, yet will also flow into the next journey…Quest with us. Spaces that are sacred, that are liminal, that are gateways to the mysterious and the magickal are with us everywhere. The paved roads of Wandsworth don’t matter, only the paths you make or choose as you set your feet. None of our Wandsworth venues are traditional theatre spaces. The quest, the ritual begins the minute you buy your ticket. We will reveal our secret locations and sacred spaces to you in many wonderful ways as you prepare for your journey; you will be guided in a variety of forms to the right location. Trust in us and make the leap. Dive into glorious oblivion or awaken what lurks beneath, which do you choose? Step right up! Let’s see what you could have won… Careful the clock is ticking… One wrong move and under you go! The promise is of Fae enchantments, but is that good or bad? What are you scared of? What whispers to you on the wind? Where are you sitting lost and forgotten? Where does your sanity hide its true face? For even in the hidden, the frightened, the hopeless, is there not a glimpse of redemption? What would it feel like for even a single solitary moment, if you were truly seen? If in that seeing you were held? Nourished? Nurtured? Loved? Offered hope? What then? Are we not all deserving of compassion and, just once, of unconditional love? echoes when only the stillness remains. percentage of our tickets for each elemental journey to those who otherwise could not attend. We will be working with local partners in health and social care to get these tickets to the right people. 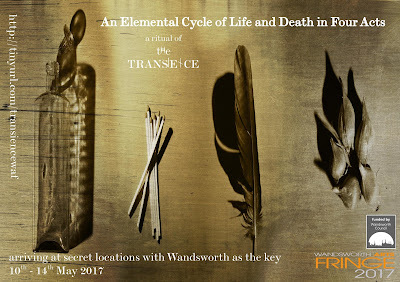 If you want to enquire about accessing one of these tickets for yourself or someone you care about please contact transiencethe@gmail.com with some details of the circumstances. For those who wish to share their abundance go to http://transiencethe.wixsite.com/transience to find out how to donate towards the cost of a ticket for one less fortunate.